The Phoenix was launched in the very first week of 2012! 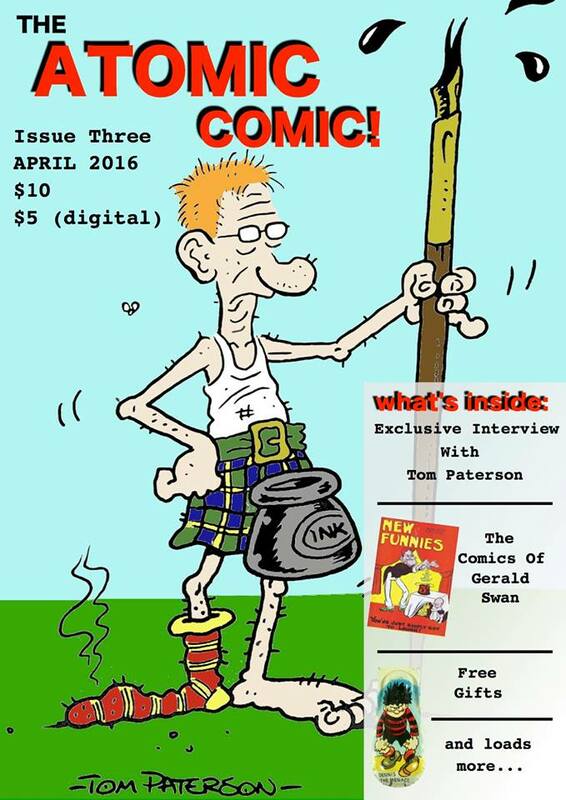 Now, over fifty issues later and it is still going strong, selling out almost as soon as the stores open! Next week celebrates it's first birthday, let's hope they have a good one! Several fantastic books were released this year, the most noteable is The Art and History Of The Dandy, but let's not forget about The Sloperian (a fantastic look at early comics) or One Eyed Jack and The Death Of Valiant! 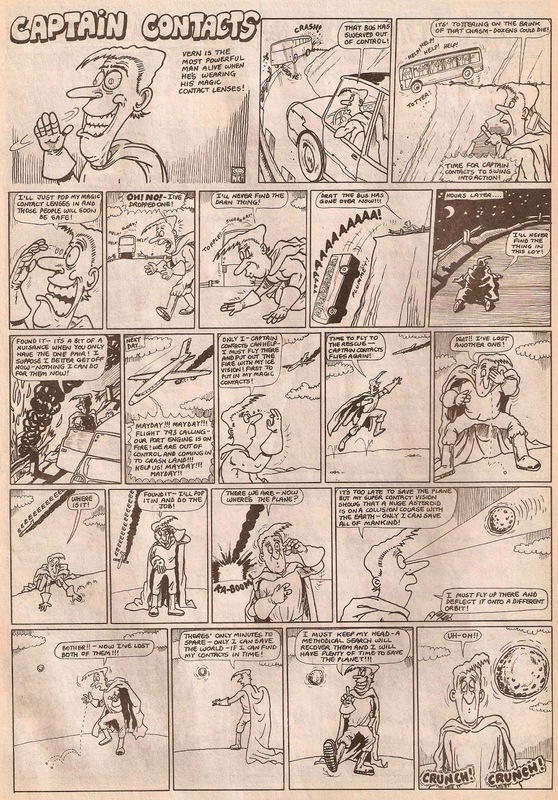 We also had Alf Tupper, which collected some fantastic 'Tough Of The Track' comic strips all in one book! 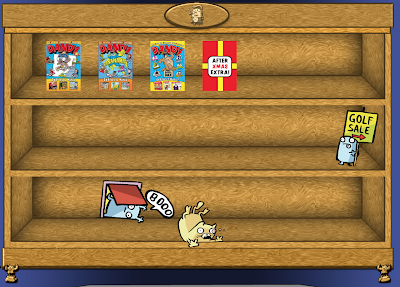 The Beano revamp in October was fantastic! 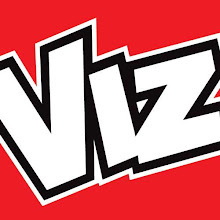 We saw the comic get funnier, better drawn and the whole comic improved in general! 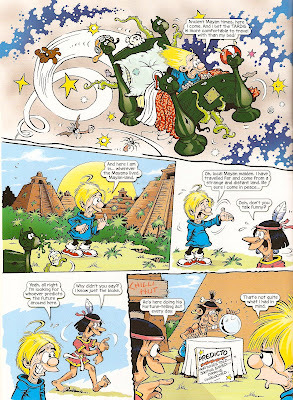 With new looks to old strips such as Rasher (by Lew Stringer), Billy Whizz (by Will Dawbarn) and Dennis the Menace (by Nigel Parkinson), the comic is now bigger, brighter and better than ever! So 2012 has been the best year in comics for a long time, and lets hope it continues to improve in 2013. Only two things have ruined this fantastic year, the first been the death of The Dandy. However, the comic lives on in digital form, and if you haven't yet read it I highly recommend you do, it sure is fantastic! Hopefully it will return in paper form, if the digital version is popular enough. 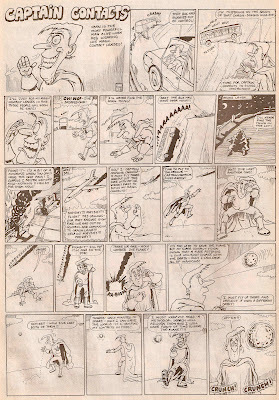 Secondly, Lew Stringer has decided to end Blimey, the greatest blog on British comics I've ever read. I've been reading his site almost daily since early 2009 and in the past six years since he started he has covered some truly fantastic stuff. I was truly honoured when he added this site to the side of his, and even more so when I saw him include a link to here on his final post! 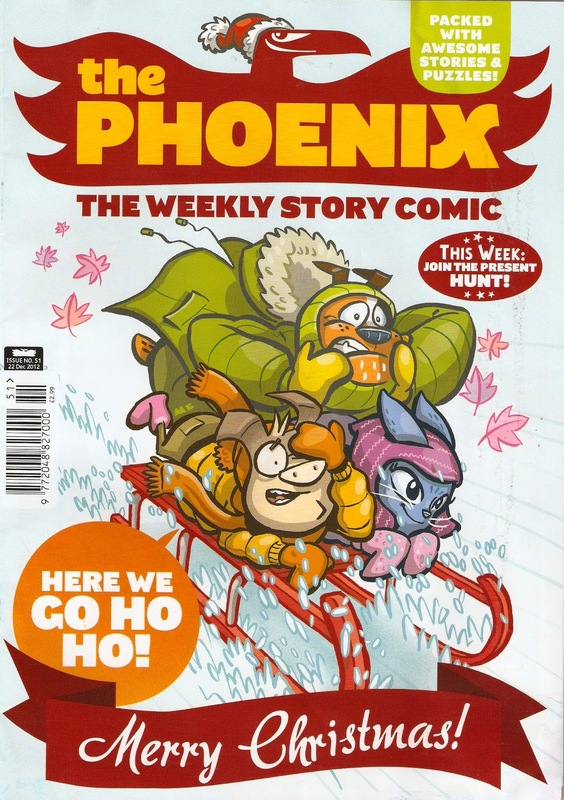 I'm sorry to see it go, as it was the inspirtation for Wacky Comics, but I can understand Lew's reasons. The final price will hopefully be lower than £3.99. 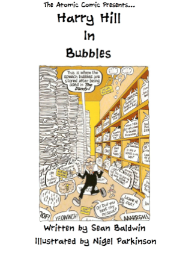 What can we expect to see in 2013? First thing for me is to get Atomic Comic, a comic fanzine Harry Rickard and I started back in March, published, and I'm hoping the first issue will be avaliable in late January! I've read a lot of blog posts arguing that the British Comics Industry will be picking up again, and certainly after all the media intrest, but wether it will happen in the upcoming year, I can't say. Fingers crossed though! That's just two things to look forwards to, there should be loads more! 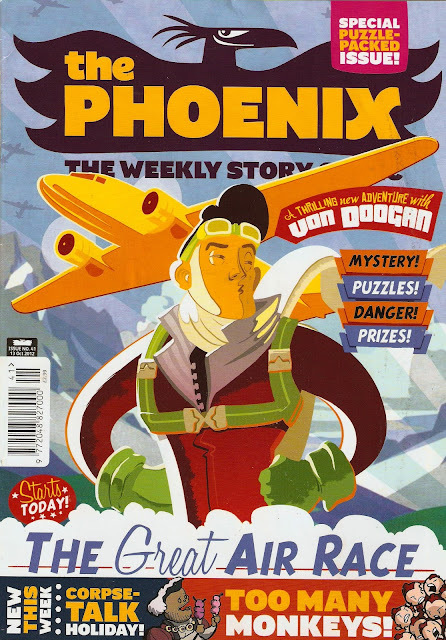 Issue 51 of The Phoenix is a special one because it is the title's very first Christmas issue! 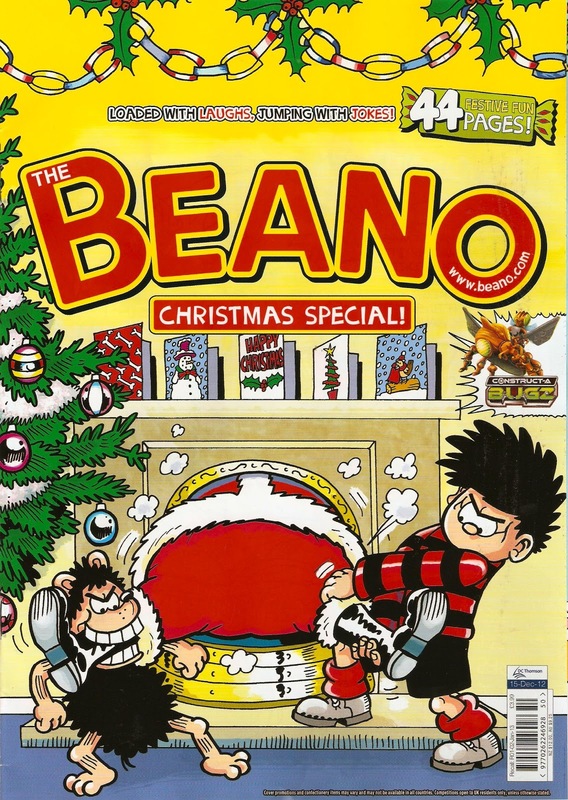 Like this years Christmas Beano, the logo could do with some snow (but at least it's wearing a Santa hat! 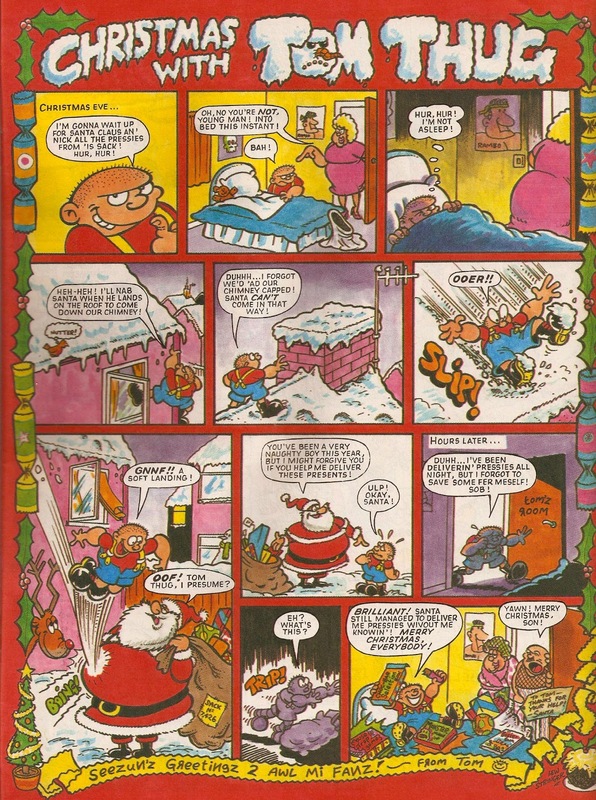 ), and the comic is filled with heaps of Christmassy goodness, including a four page Bunny Vs. Monkey, the title's most popular characters (according to a recent poll) by the fantastic Jamie Smart! 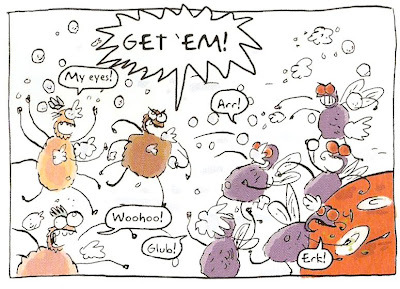 There are other highlights too, such as a festive Gary's Garden (by Gary Northfield, of course), part two of Cogg and Sprokit by Jamie Littler, and a fantastic centre spread giving us a rare inside look at Santa's Grotto, by the brilliant Chris Riddell! 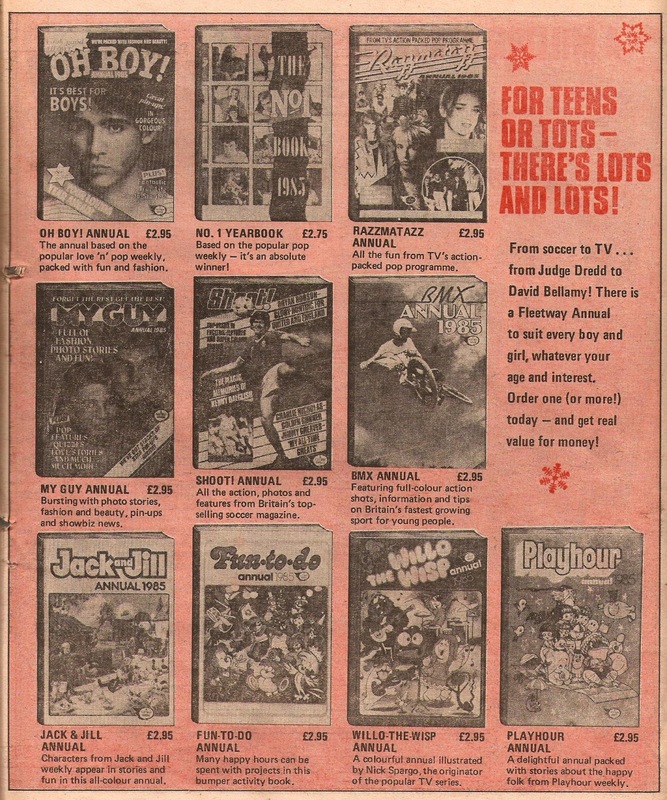 All this and more is bundled up in a fantastic package, yours for just £2.99! 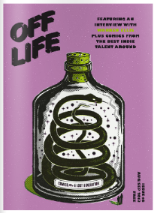 But be quick - The Phoenix sells out fast! 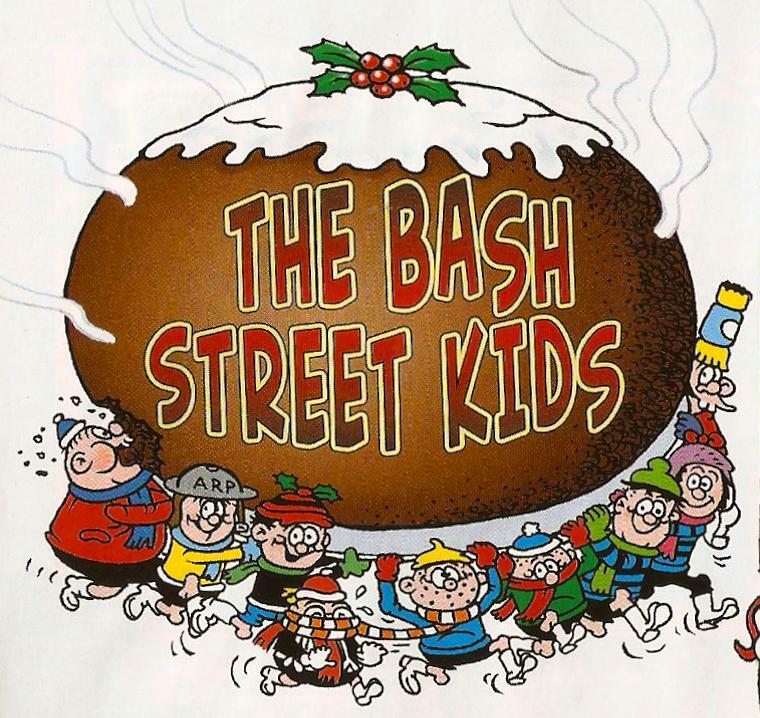 And the Bash Street Kids, illustrated by David Sutherland! Here is a preview of the fantastic final panel! 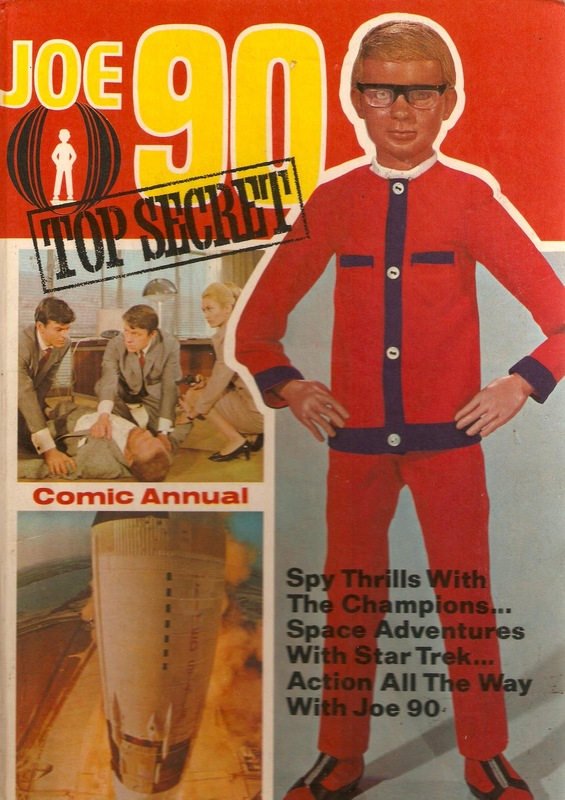 Although this issue hasn't got the best front cover in the world (the logo is too low leaving the top half of the page feeling empty), the contents are smashing, and a well recommended read! So if you haven't already, be sure to grab yourslef a copy for £3.99 (it may be quite a bit more than usual, but it's well worth it)! Last Graham's Onions for 2012! 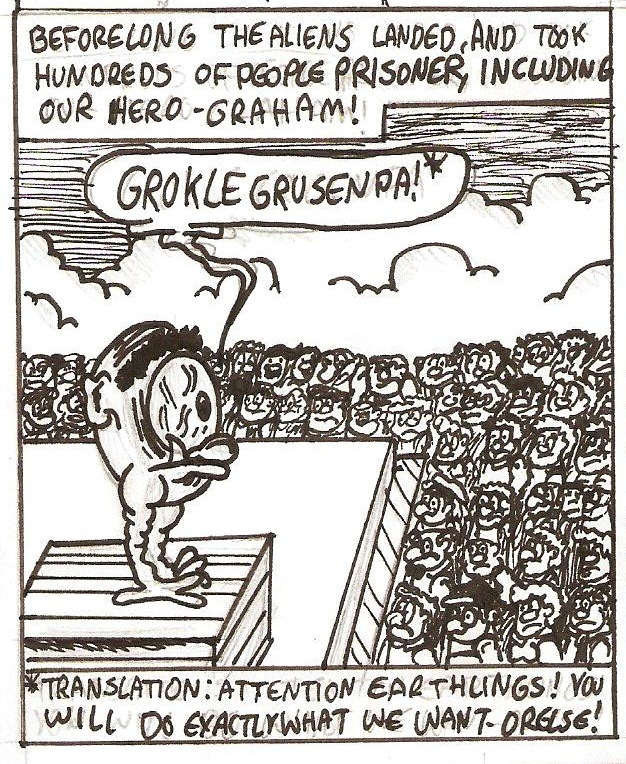 Today the last adventure of my web-comic Graham's Onions for 2012! 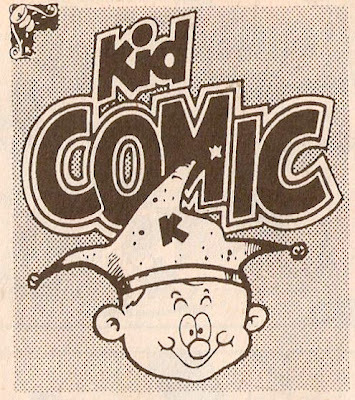 For the first time ever I've used an idea that Ken Reid used in his drawings (and many others over the years, but Ken Reid is my biggest influence for Graham). I've used normal black ink, mixed it with water and painted it onto the page, giving it a nice gray colour. Admittedly, I haven't done it perfectly, but it is only my first attempt! In this episode I cover everything Graham has done this year, plus fit a little adventure in there at the end! I'm very proud of how far Graham has come in 2012, and how much my drawing has improved since series 1 (episodes 1 - 4)! 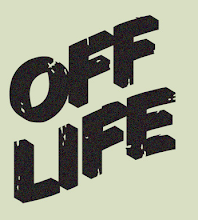 I'm also impressed with how many stories I've written - it's suprisingly hard writing scripts about a kid who always saves the day using only some onions on a rope! Anyway, wether you've read it before or if this is your first time seeing it, I hope you like the adventures! There will be more to come in 2013! 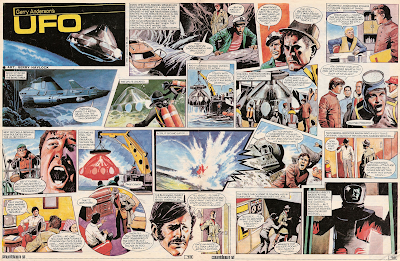 Gerry Anderson's work has influenced comics hugely, and many of his characters including Thunderbirds, Stingray, Joe 90 and more have been made into fantastic strips appeareing in many different titles. 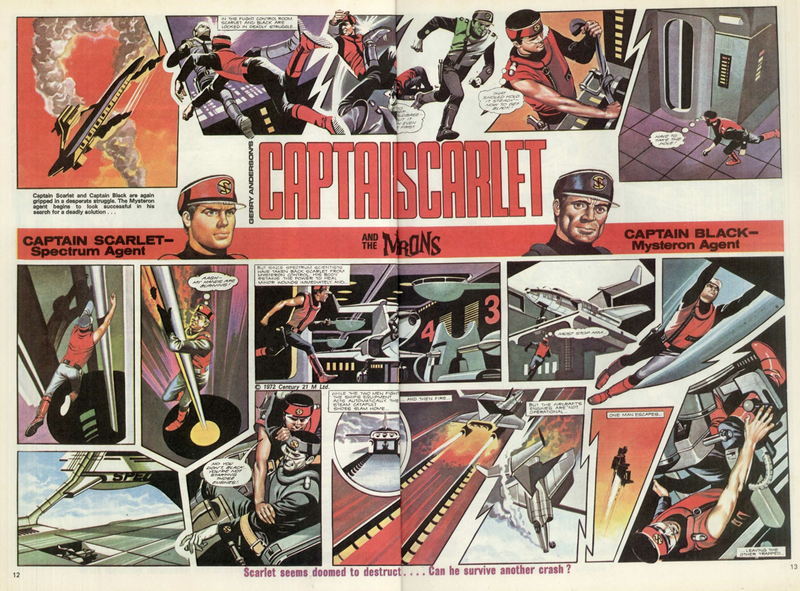 Unfortunalty, Gerry passed away at the age if 83 today, but his work lives on, both on television and in comics. 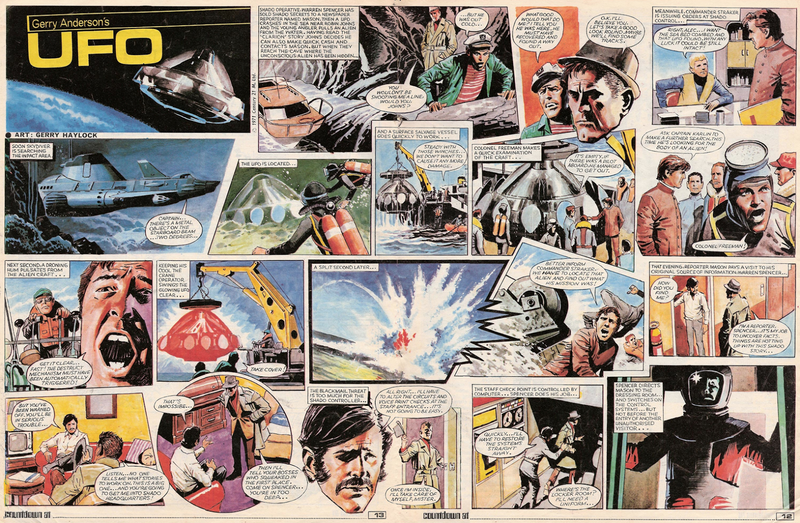 Here is a fantastic UFO strip from Countdown issue four, illustrated by another Gerry - Gerry Haylock. 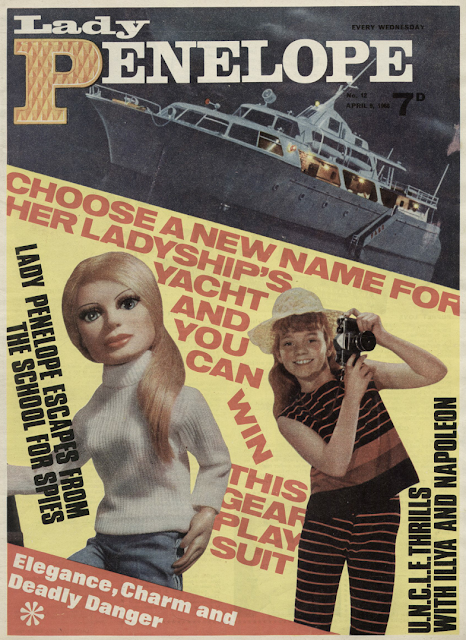 Both Joe 90 and Lady Penelope got their very own comics in the 60's, but sadly neither of them lasted very long, folding almost as quckly as they had begun. 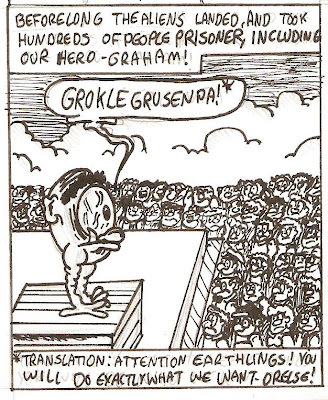 If you have any comics that feature strips about Gerry's characters, take a few minutes to read or re-read them. Wether you're new to them or not, I'm sure you'll agree they're all fantastic! Out now is the final Digital Dandy for 2012, avaliable to read for £1.49, or 100 Dandy credits. 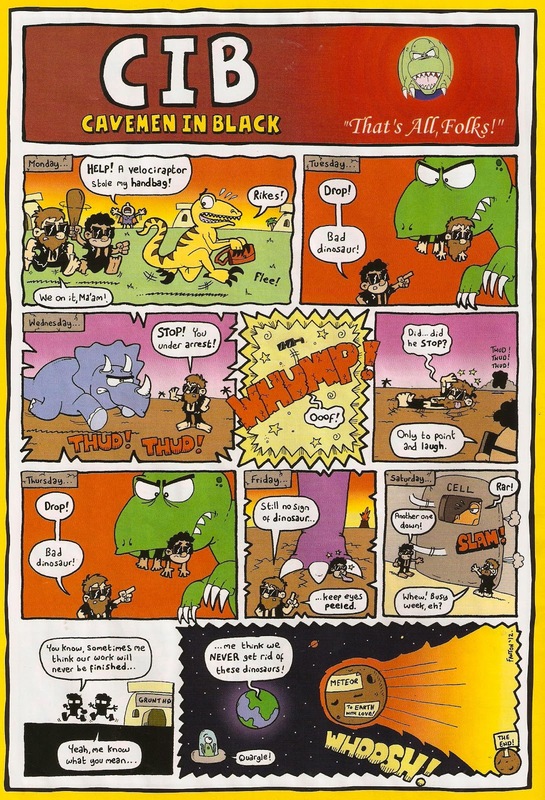 Inside the comic are brand new adventures of The Numskulls, Retro Active and Brassneck as well as reprints of Growlph, Angry Nerds and Not So Deadly 60. The highlight for me is Jamie Smart's version of The Numskulls, which gives us a far more wacky look at this classic story! 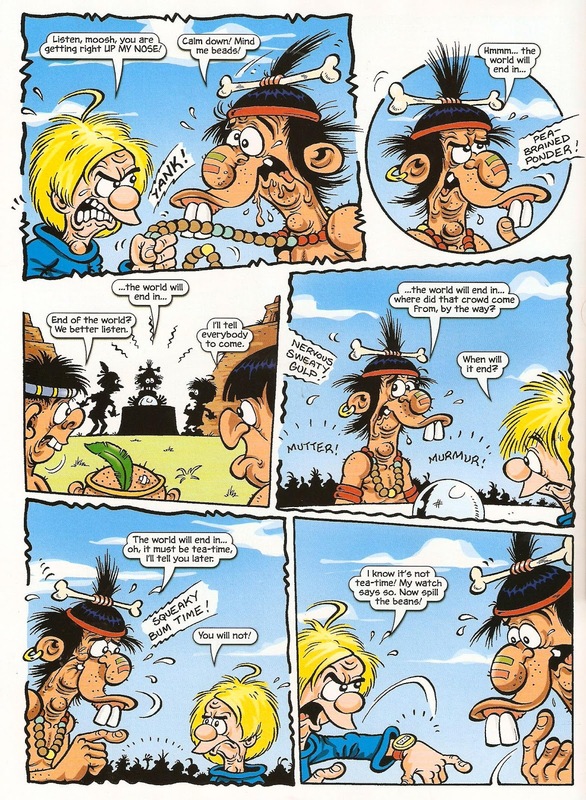 Although for me Barry's version in The Beano starring Edd will always be my favourite Numskulls, I really enjoy Jamie's version! 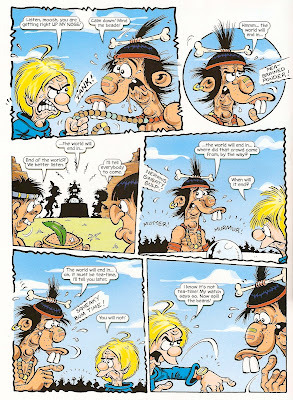 Bananaman is the other highlight, a very funny strip even if it is told one panel at a time (like all the stories), which occasionally can be a bit slow moving. 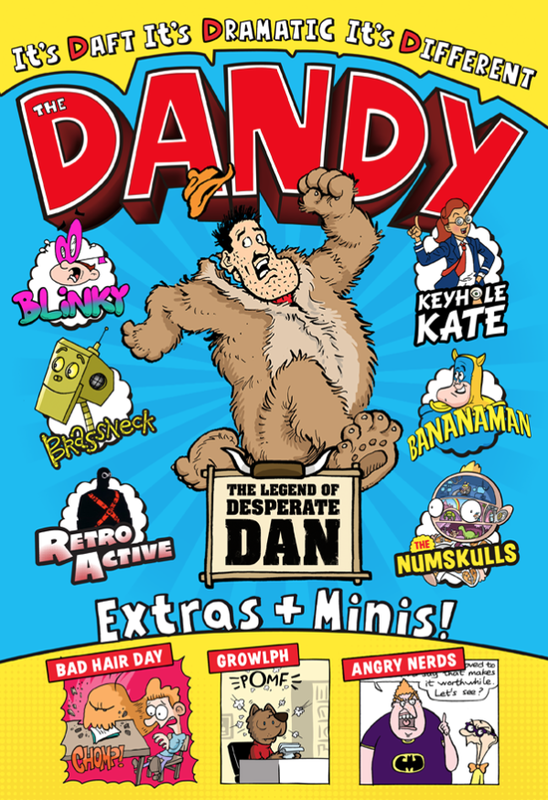 In general, the animation in The Dandy is getting better by the issue, and it is a comic I am definatly going to be sticking with, as it has very funny strips and stories that will keep you coming back to find out more! If you haven't yet purchased an issue, head over to The Dandy website and get one, it's only £1.49! 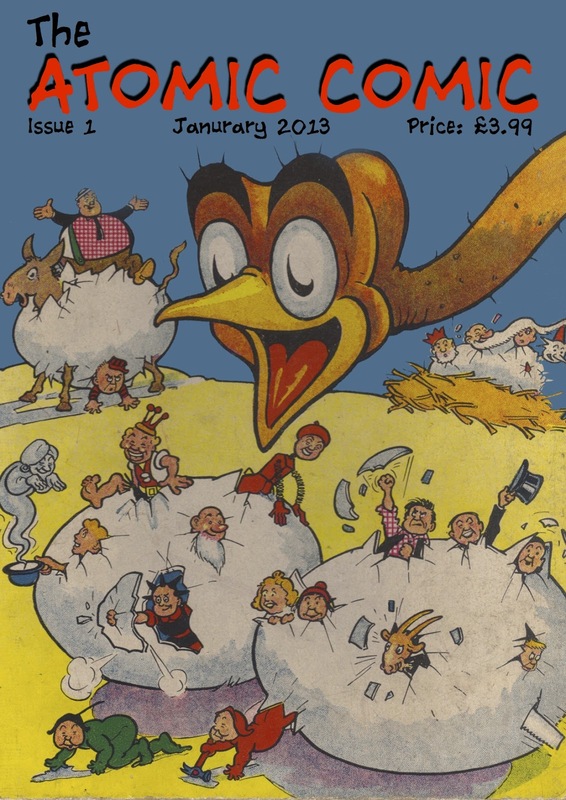 In case you missed it previously when it sold out like hot cakes, the final issue of The Dandy has been reprinted and is avaliable again for the same great price of £3.99! If you are yet to grab a copy, here are some of the goodies inside! 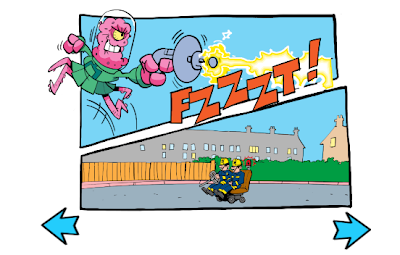 Reprints of great old strips such as Winker Watson, Corporal Clott, Sir Coward de Custard, Peter's Pocket Grandpa and many more appear in the same colours they originally did, hardly edited save for new speech bubbles! 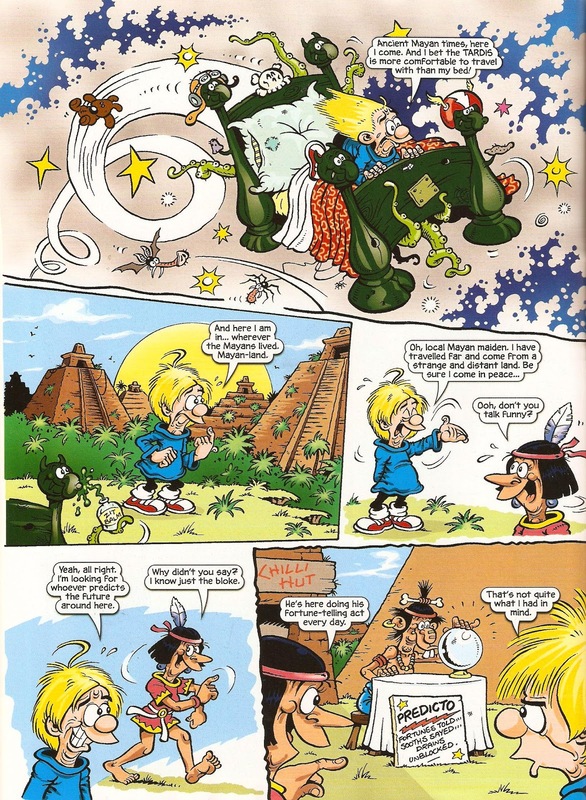 The strips are either reprints from previous comics (like above) or brand new episodes, such as this brilliant take on Whacko! 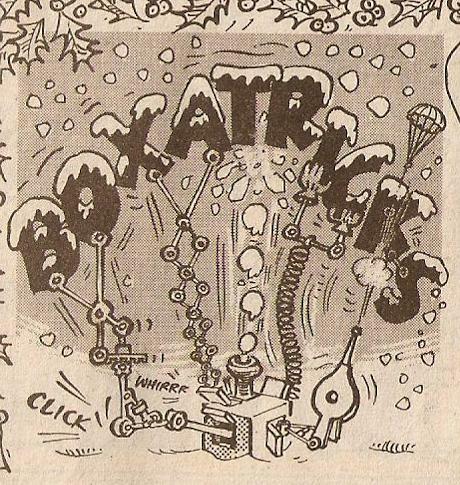 by Alexander Matthews, who drew Nuke Noodle and Robot On The Run. 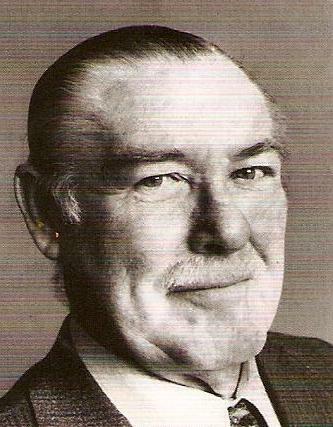 Remember, that's out now from all good bookstores for just £3.99! A fantastic one by Lew Stringer! 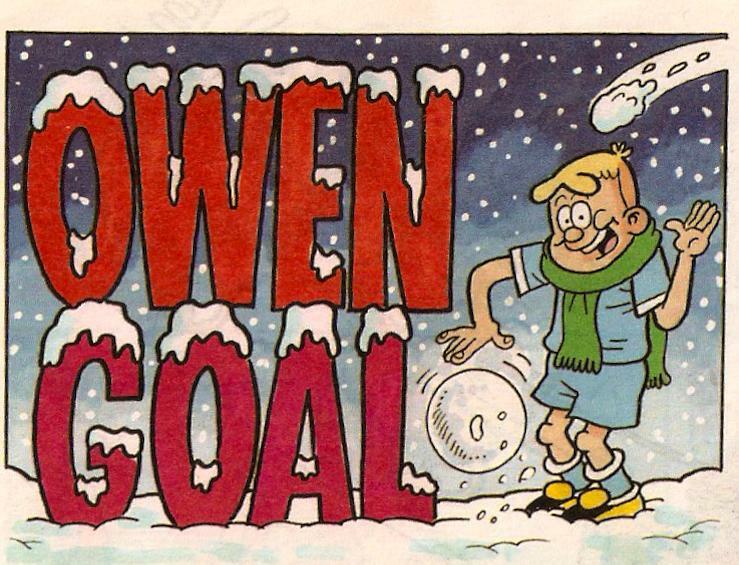 Even the snowman looks like Prat! One of the many great things about Christmas comics is that the title boards for comic strips become decorated and festive, and even more so if colours are avaliable! 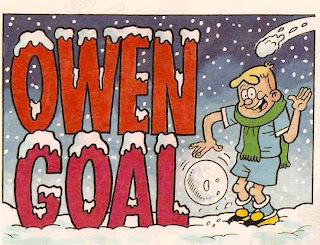 Here is a selection of Christmas headers from various comics old and new! I'm not going to finish this post without a comic strip, so enjoy this Christmas themed Tom Thug strip by the brilliant Lew Stringer! Have a great Christmas readers! 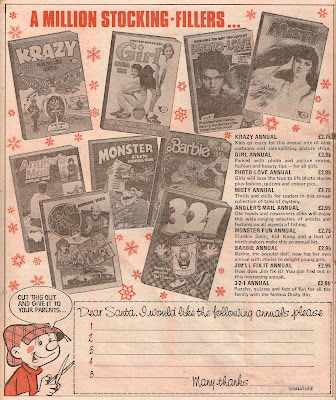 Here is an advertisement that was slipped into the middle of one or two Fleetway comics just before Christmas in 1984. 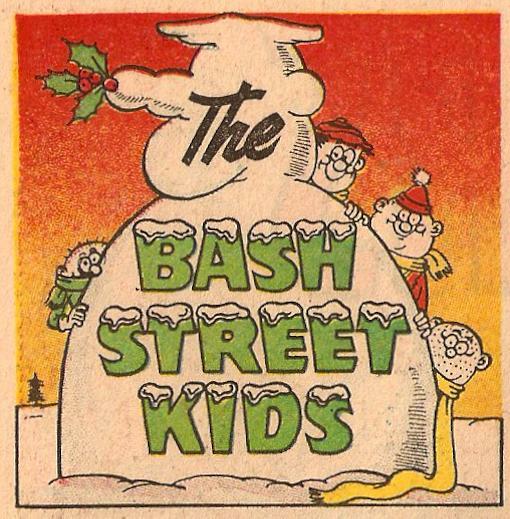 Ok, admittedly it appeared a long time before Christmas, in the last week of September! 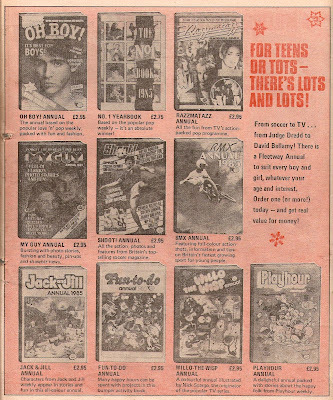 It is, of course, an advert for all the annuals going on sale that year. 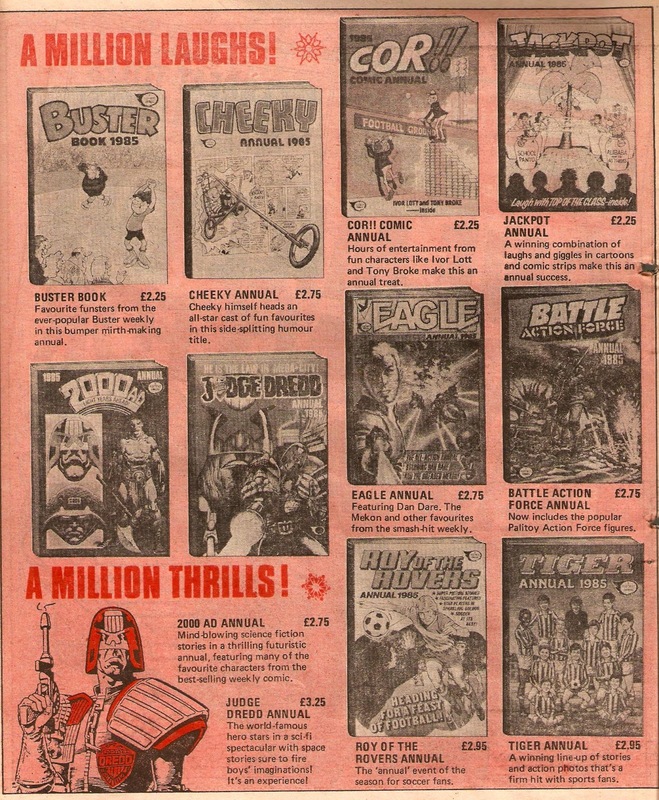 As with all annuals, despite going on sale in 1984 they all had 1985 written on the cover! 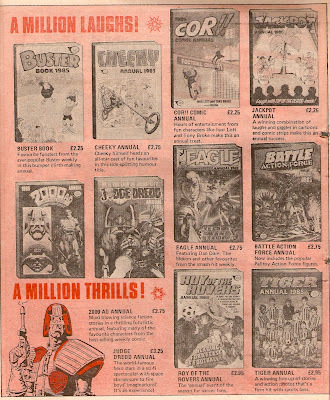 Looking through it's amazing just how many annuals there were on sale back then, and this is just from Fleetway! 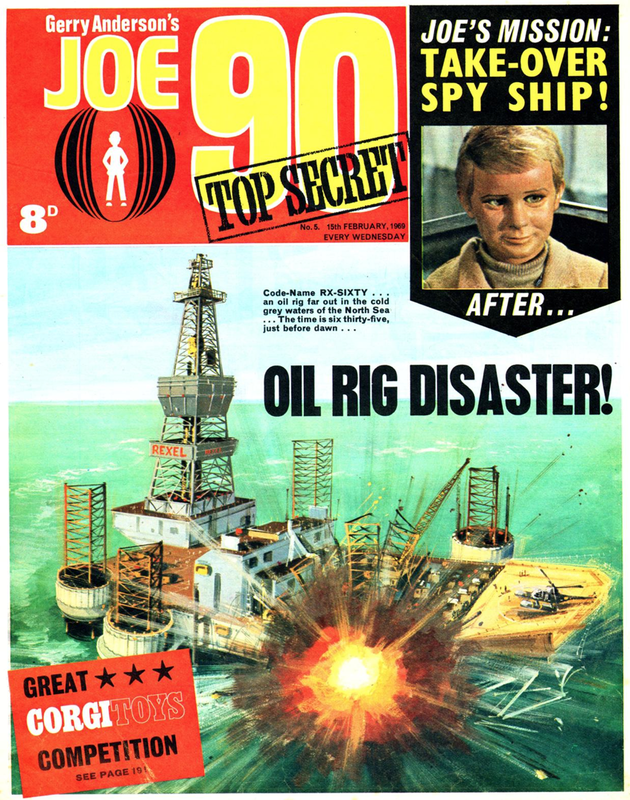 There'd be a whole load more coming in from D.C Thomson! 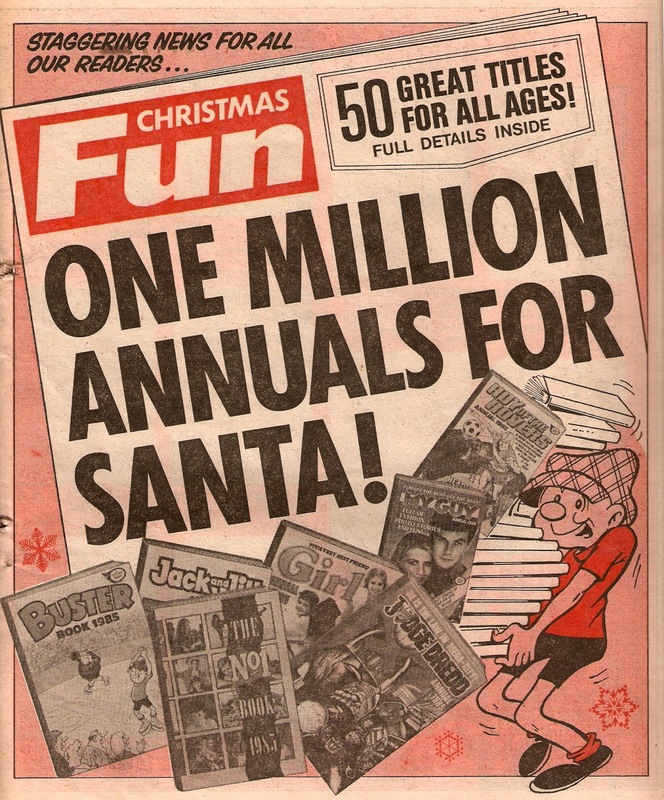 However, we do still have some annuals remaining on the shelves! The most obvious are The Beano and The Dandy (yes, The Dandy annuals will still continue in print form), but there are a whole load more! Just head over to Amazon.co.uk and type in '2013 Annual', and you'll be faced with almost 1,500 results! 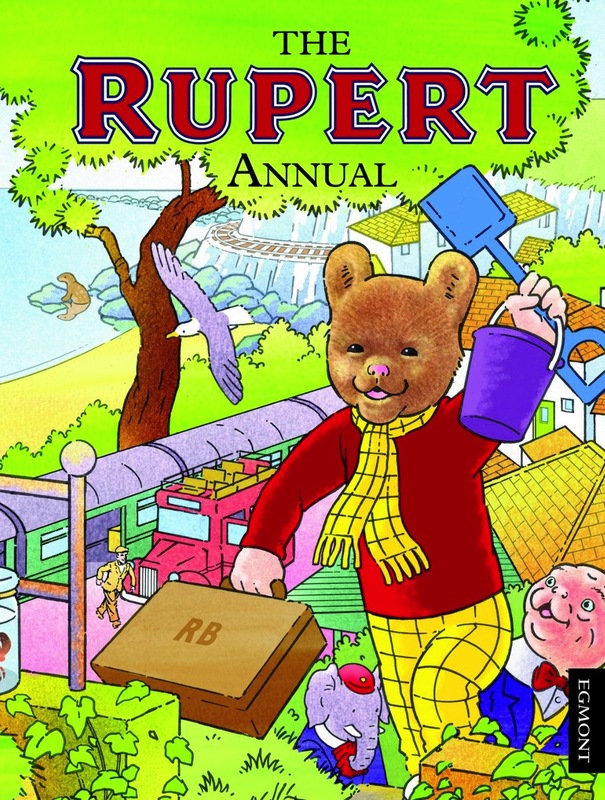 Although a huge majority of them are based on either television shows or video games, there are a few goodies in there, such as the 2013 Oor Wullie book, the 2013 Where's Wally anniversary book and the 2013 Rupert annual! Or, if you don't feel like spending too much money on an annual for Christmas, you can always grab yourself a classic book, often with prices starting from just one penny! 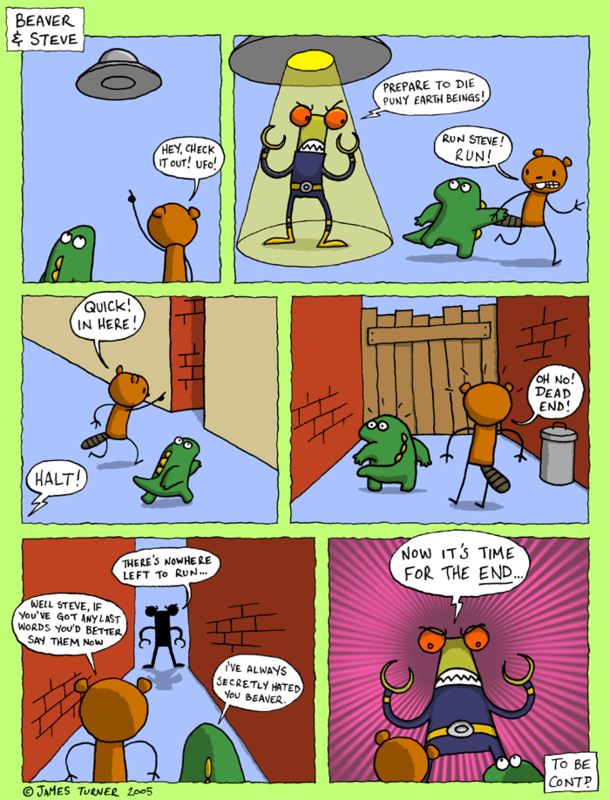 Today is supposedly the Earth's deadline, so instead of us all perishing in flames (or however you picture the planet to end) let's sit here and enjoy some comic strips about the end of the world! 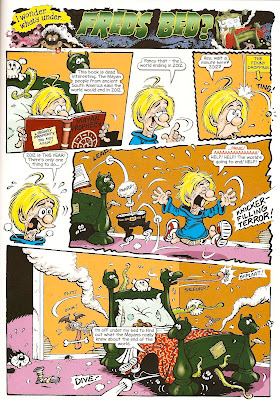 First up is this excellent Fred's Bed strip from the 2012 Beano annual, illustrated by the incredible Tom Paterson! 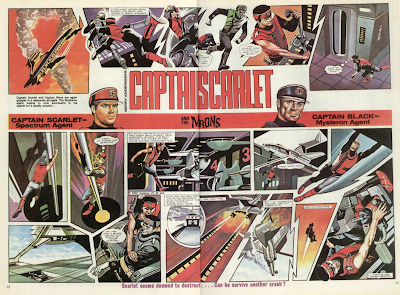 Next up is this Captain Contacts strip from Fizog issue 2! I'm unsure of the artist, the little smiley face above the 'NKM' in the title box doesn't mean much to me and a google search reveals nothing. A possibility is Nicholas Schwab - thanks TwoHeadedBoy! 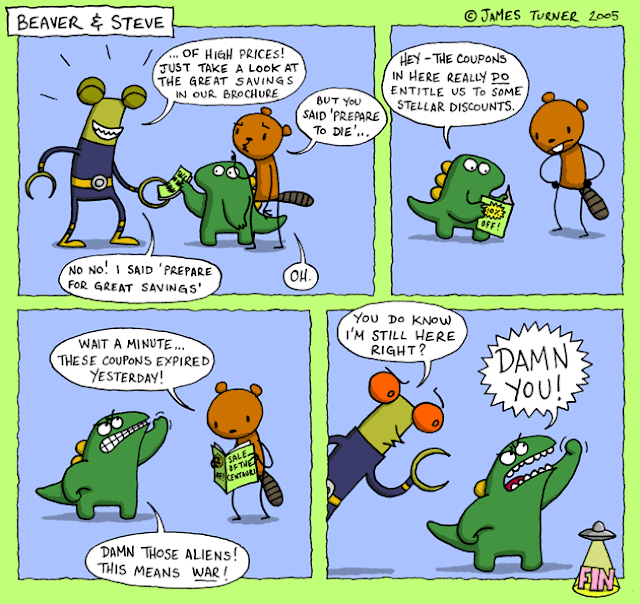 As I said, this wasn't the only time Beaver and Steve faced (or created) ultimate destruction, another is shown at the top of this post, where they destroy humanity with a giant shoe! How did it happen? To find out, head over to 'The Archive' on the Beaver and Steve website and read 'Revenge Of The Shoe Goblin', which starts at episode #208! Here is a strip that appeared in The Dandy earlier this year. 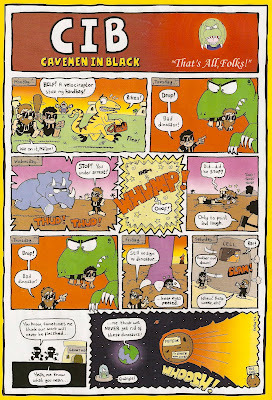 It's the final episode of Cavemen in Black, written and drawn by Andy Fanton! Reg Parlett's Last Christmas Buster! 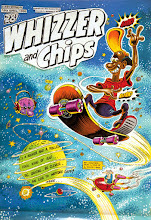 More Whizzer and Chips Craziness! A Closer Look... Beano 1345! 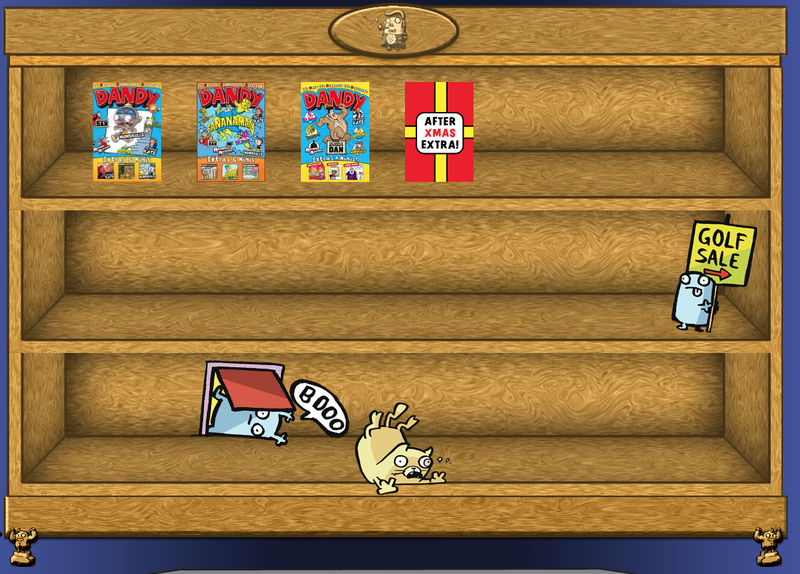 A first look at The Digital Dandy! Is The Amazing Mr X Returning?